20% off you entire purchase. 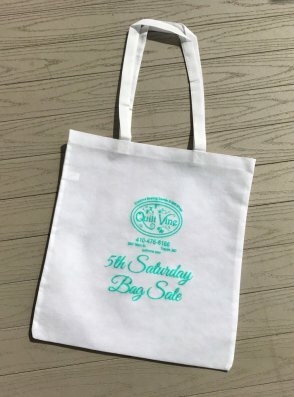 That's right, on the 5th Saturday of the month just bring in your 5th Saturday Sale Bag and get 20% off everything you can fit into it. The bag for 2017 can be purchased for just $10. There are 4 months with 5 Saturdays this year: April, July, September, and December. That means 4 times you can plan to come in and get 20% off. September 30th is the next 5th Saturday of 2017. We look forward to seeing you then.